Lately, bananas have become a staple fruit in my diet. Especially since I tried the 21 Day Tummy Diet last year. They are filling, full of fiber, antioxidants, vitamins and minerals. 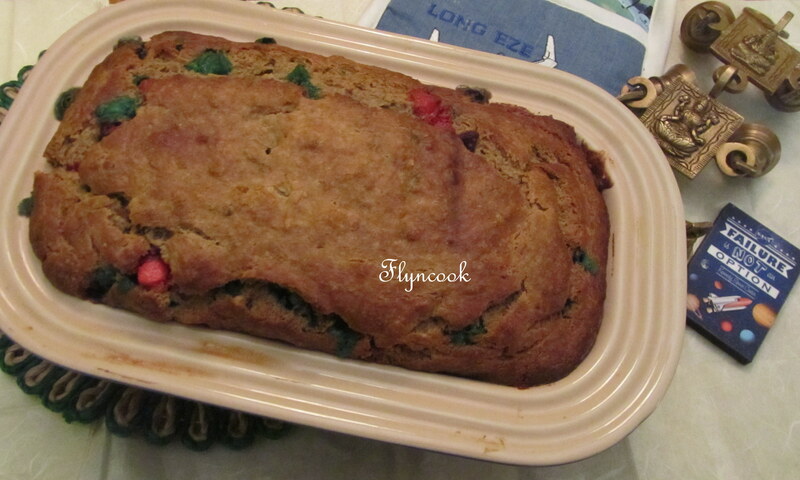 There is always an odd week, when I have several left over ripe bananas. Sometimes I freeze them for my next smoothie. Other times, I like to bake bread. Right on cue, this week, Marc Matsumoto posted this recipe. I made no changes other than to use holiday colorful chocolate kisses instead of chunks. And it still was good.